Home » The Egg Industry » Beak Trimming – mutilation or a necessity? Beak Trimming – mutilation or a necessity? Debeaking, or beak trimming both sound pretty unpleasant terms, but what’s it all about, why is it so controversial and what’s being done to ensure hen welfare comes first? Beak trimming regularly comes under scrutiny in the national press, with undercover operations ‘exposing’ the practice. And yet beak trimming is nothing new as farmers have been employing the procedure for decades. The phrase is legally termed a ‘mutilation’ which adds weight to this emotive topic. When beak trimming was first introduced a hot blade was used to trim the end of the beak, a process it was rightly argued caused high levels of distress to the birds. Beak trimming today is carried out using an infra-red beam to remove the sharp tip of a hen’s beak. The process takes seconds and is carried out when the birds are at chick stage. In the UK it is common practice to trim just the tip of the beak, whereas in Europe it is more commonplace to see severe beak trimming occur, often leaving birds exposed to pain when feeding. Why beak trim in the first place? Beak trimming is carried out ultimately to protect birds from hurting each other in what is an unnatural commercial environment. Hens can recognise others within a flock of up to 90 with each bird knowing its position within the pecking order. 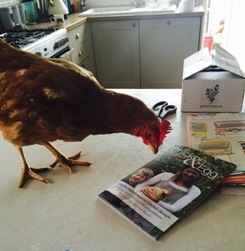 It is acceptance of the pecking order that keeps a flock happy, every hen knowing her place. However when a flock size increases to a commercial scale, which can be anything up to 16,000 birds, no pecking order can successfully work and birds are at risk of developing unnatural behaviours. One of these behaviours is feather pecking which may start as a grooming action, but can easily lead to injurious feather pecking, which in turn can lead to cannibalism breaking out. The public are understandably concerned about beak trimming; nobody wants any animal to suffer unnecessarily, and certainly not on an industrial scale. The British Hen Welfare Trust’s stance is clear: we want to see an end to beak trimming, but not before an alternative management method has been trialled and successfully proven. Hen welfare is of paramount importance throughout the life cycle of a commercial flock and currently beak trimming is the most cost-effective, sustainable solution to preventing injurious pecking and therefore retaining good welfare. Progress is being made to develop alternative ways to ensure good welfare throughout a flock’s life and research is currently being undertaken to reduce injurious pecking via genetics, by lessening aggression in laying flocks. 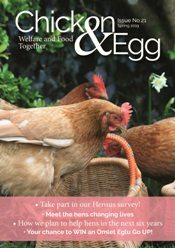 For example, a new draft Code of Practice for the Welfare of Laying Hens produced by DEFRA contains a whole section on injurious pecking and feather loss. It suggests poultry keepers select strains of birds with a reduced tendency to injurious pecking. The code also says farmers should develop a bespoke plan with a view to reducing injurious pecking and thus the need to beak trim. It is suggested that, once good feather coverage has been achieved throughout lay for two consecutive flocks, a farmer should consider stopping beak trimming in consultation with a veterinary surgeon and other industry advisors. DEFRA is also clear in wanting to bring forward a ban on beak trimming. Defra Minister Lord Gardiner has insisted that the Laying Hen Welfare Forum “set out an action plan, with clear milestones for the elimination of beak trimming as soon as possible.” The forum is made up of representatives from the RSPCA, the NFU, the British Free Range Egg Producers Association, the British Egg Industry Council and the University of Bristol. It brings together expertise from the egg industry, farms and the Government to explore ways of improving hen welfare and reduce injurious pecking in flocks. In the meantime we reiterate that consumers are the biggest drivers of change. For those who feel passionately that beak trimming is not acceptable, hens producing organic eggs are not beak trimmed, so shoppers can already vote with their purses on this emotive subject.